Commercial Grade Quality With Architectural Design. Maximum layout flexibility. 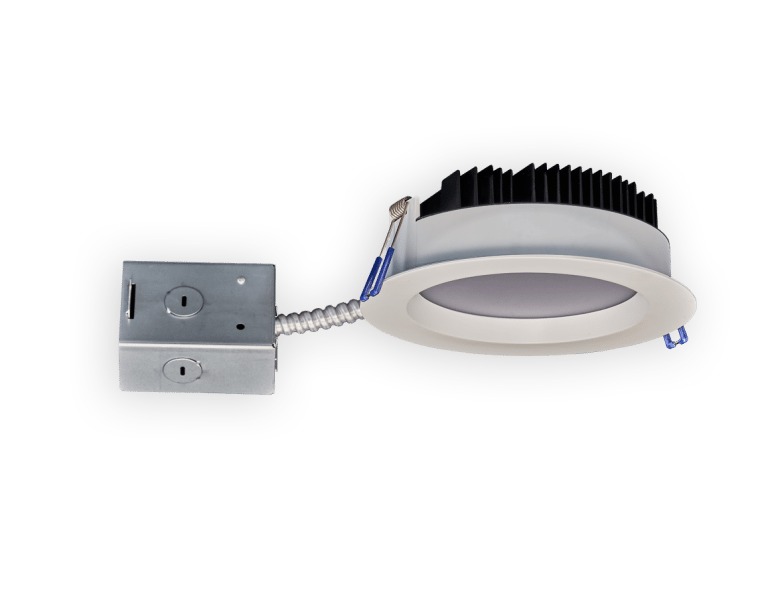 Round 6″ Regressed LED fixtures with integral LEDs and built-in driver. Commercial Grade Quality With Architectural Design. 2 1/4″ Above Ceiling Clearance Required. Quick connectors Included. 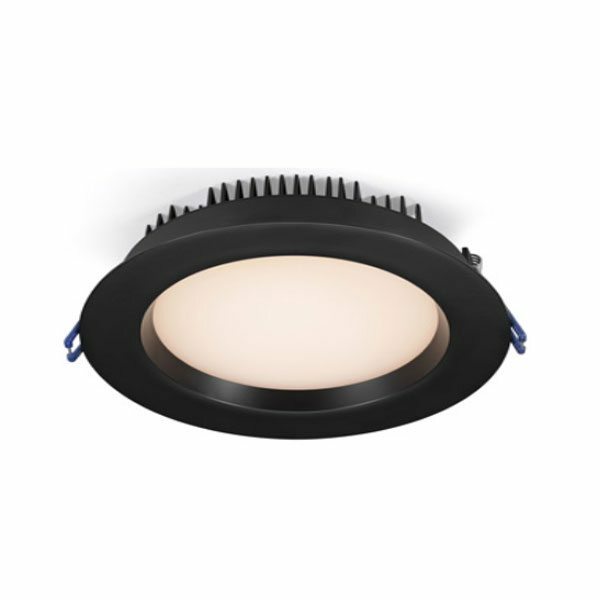 Suitable for Insulated Ceilings & Open Plenum locations. Open the cover of the junction box. Push and remove one of the half-inch knockouts. Install standard L16 cable connector. Use double connector for daisy chaining fixtures. Insert line voltage feed into the cable connector and splice same colour wires using the included quick connectors. Close the cover. DO NOT OPEN THE LIGHT FIXTURE – NO SERVICEABLE PARTS INSIDE.